The RazzMaJazz Ensemble "Steamship Days"
The RazzMaJazz ensemble is a popular and entertaining band that performs traditional jazz creole, dixieland and blues style music. 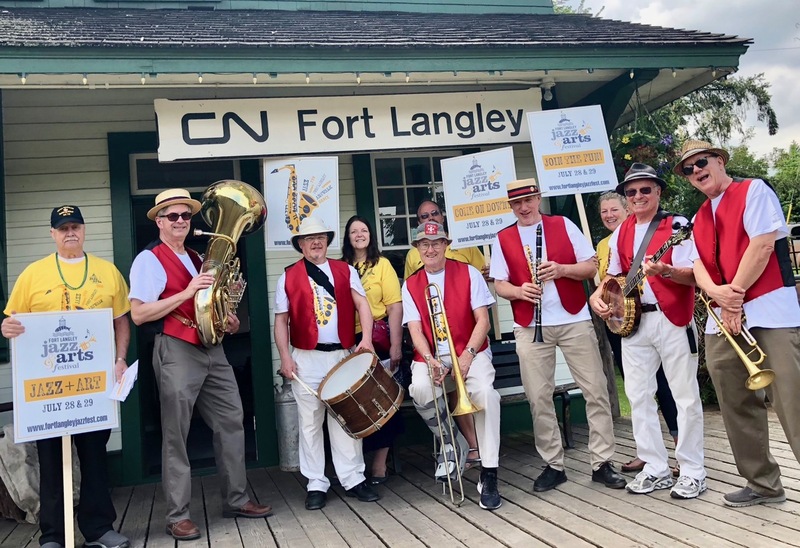 The ensemble started its musical journey performing on a riverboat on the Fraser River in 1998 and has since played at many festivals, conferences, special events and dance halls. Comprised of top professional jazz musicians, the six-piece band features multiple horns and a swinging rhythm section and can be expanded to include a vocalist. This highly entertaining and energetic band can perform acoustically to lead an entourage of people, stroll around an event or perform as a headliner act on a stage.